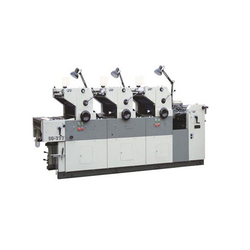 FFN - 33s fully automatic paper bag making machine suitable for v-shape paper bag used in all textile industry , food packaging industry , medical industry. We can control bag length through human-machine interface. 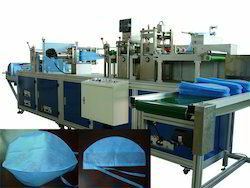 It is equipped with an accurate photocell system . 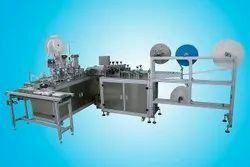 Automatic paper roll feeding with pneumatic make it more easier to handle . 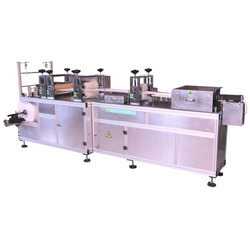 Ffn-50s paper straw making machine produce straws from three layers of paper using adhesive gluing adopted with plc and servo controller. 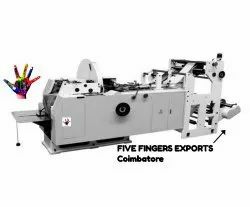 India's largest Non-woven product manufacturers, importers & exporters including all kinds of bags and its machineries.